The Loews Hotel opening up the its first downtown location earlier this year and immediately created buzz. It’s in a great location, is a huge gorgeous space, and has awesome dining options. 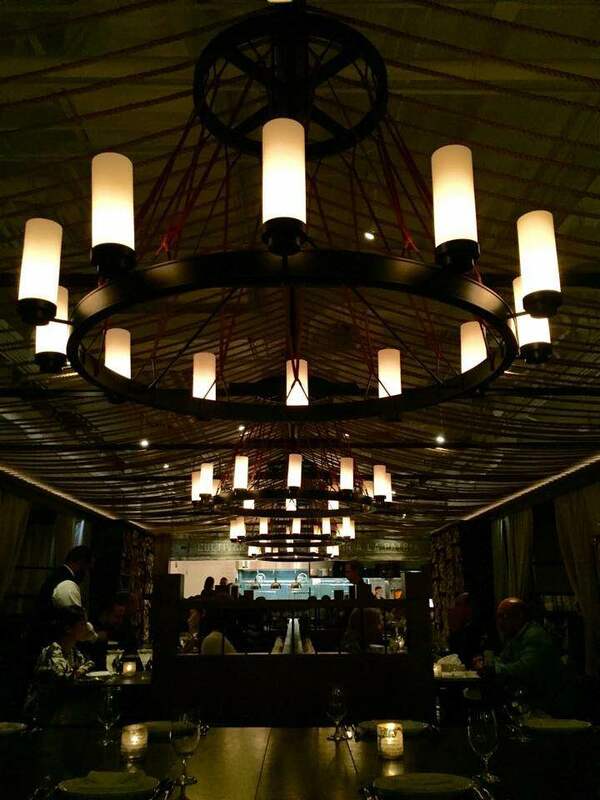 One of those is the hotel’s signature steakhouse – RURAL SOCIETY – by Iron Chef Jose Garces. Chef Garces isn’t new to the Chicago dining scene, as his first restaurant, Mercat a la Planxa inside the Blackstone Hotel, has been a fine-dining tapas destination since 2009. That said, clearly this concept works well, especially here in Chicago. 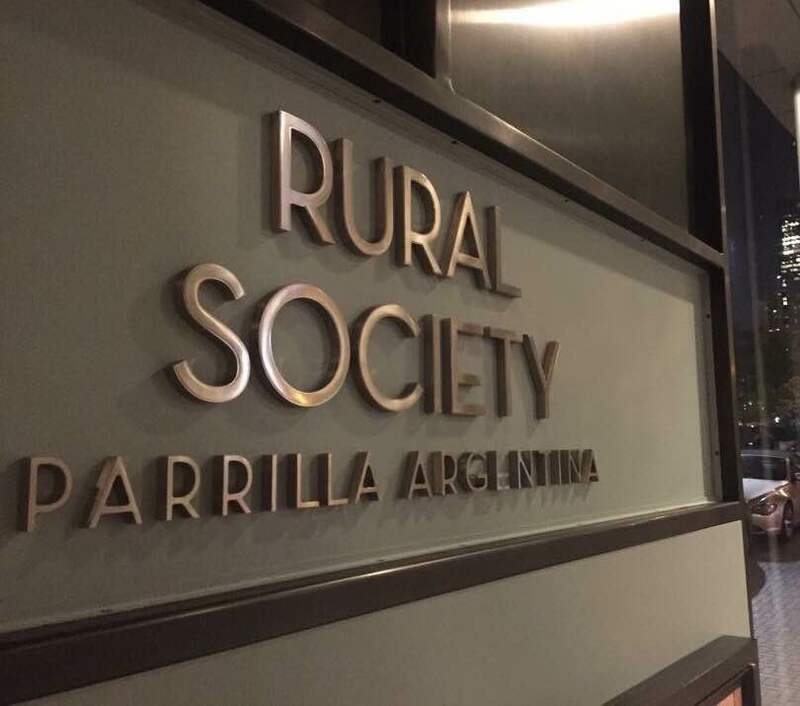 With Rural Society at the Loews Hotel, Chef Garces hones in on his Latin cooking skills, this time treating us to an Argentinian steakhouse. It’s rustic but sophisticated, and the food.. well let’s get to the food. 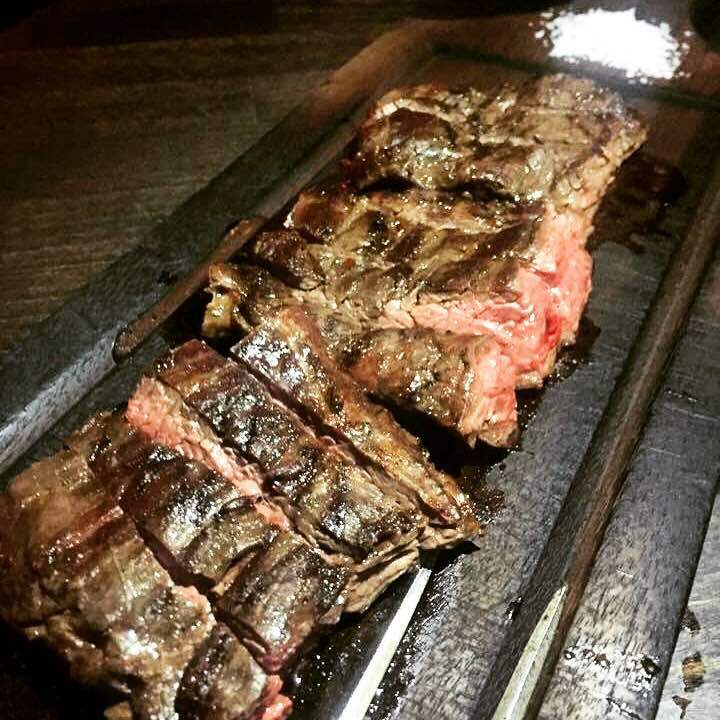 For the first chilly Friday night of this Fall season, the boyfriend and I made our way to Rural Society for what we love most – a steak dinner date. We were seated in a cozy booth that looked out onto the rest of the restaurant and open-line kitchen. The space, in general, is warm and welcoming. 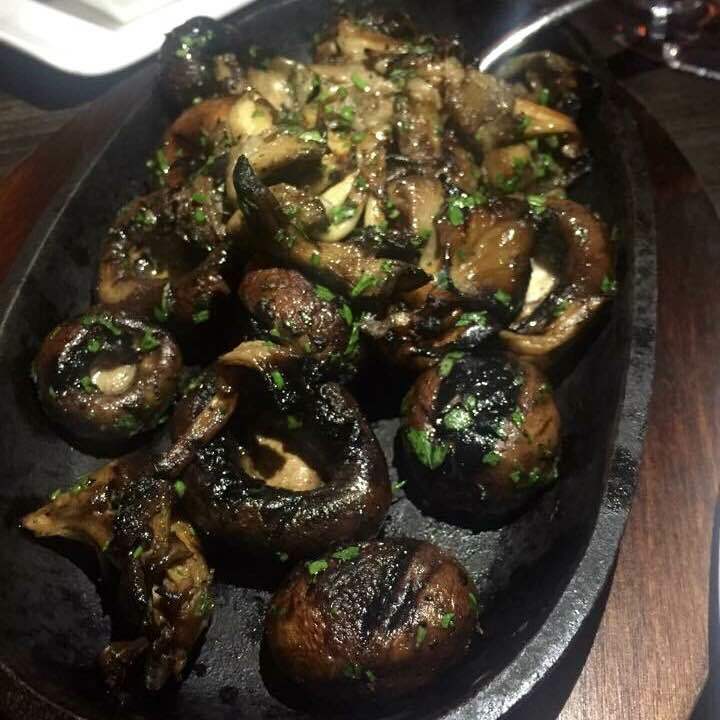 There are two Tasting Menus available if you don’t feel like choosing dishes a la carte – Tradicional (four courses of small plates and domestic meats) and La Parrilla (the complete parrilla experience). We figured the Tradicional would be a good first experience and we were right. I also added on the wine pairing for myself because I happen to love South American wines. Before we get to the courses, let’s talk about the bread served. IT’s not your run of the mill French bread. There’s focaccia topped with crispy onions and garlic, as well as little cheese rolls. 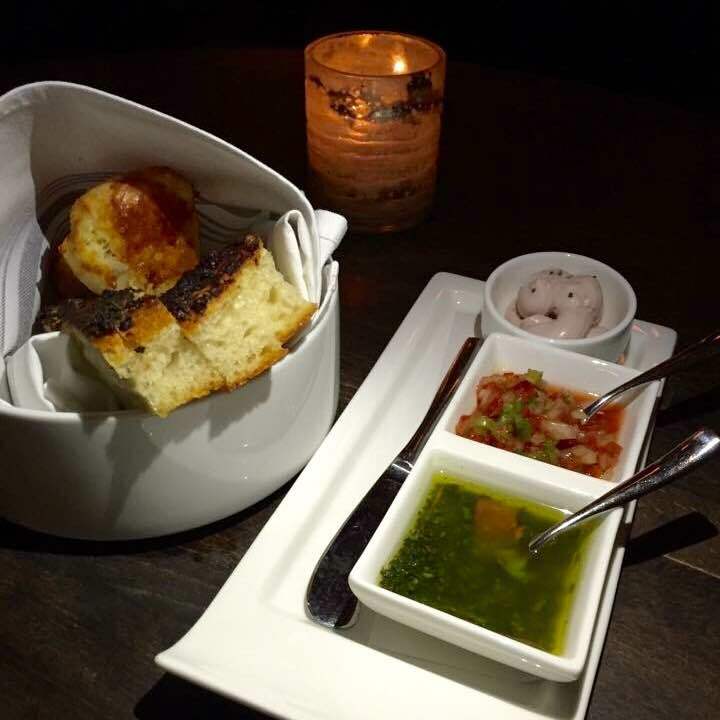 They’re served with a trio of chimichurri, pico de gallo and Malbec butter. Yum. I could pretty much have chimichurri on everything. Each accoutrement was delicious. The boyfriend, who was afraid of the veal tongue, actually really enjoyed it! 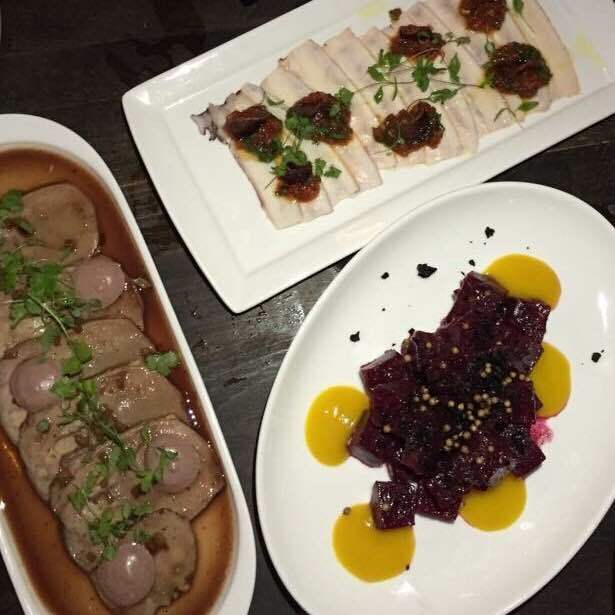 I loved the beets, and the octopus carpaccio was the table favorite. I LOVE Carbonara, and this was an Argentinian take on it, in my opinion. 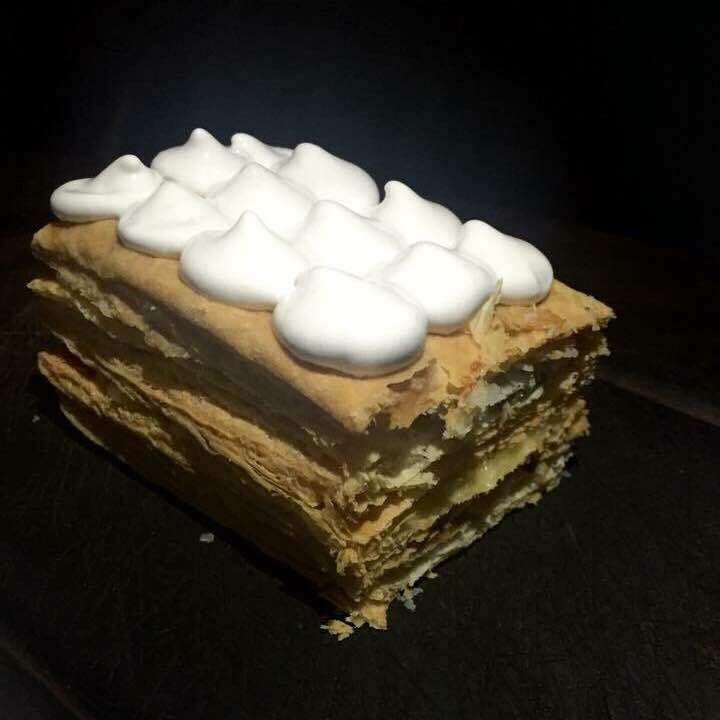 It was so delicious, rich, creamy, satisfying. Everything you want in a creamy pasta dish. 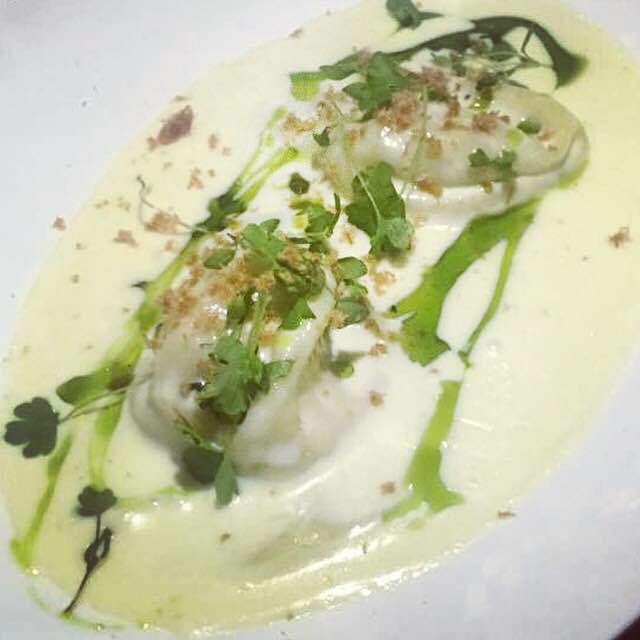 The filling is what you’d find in a ham & cheese empanada, and the cream sauce is cheesy but not too heavy. So this is what Rural Society is all about – the meats! The skirt steak was delivered to us, tableside, and then sliced by the Chef. When a steak is plated with extra sea salt on the side… I’m in love. The steak was seasoned and cooked perfectly. You can immediately taste the difference between a steak that’s broiled, versus one that’s grilled on open fire. Rural Society does the latter version so well. The sides were equally as delicious. 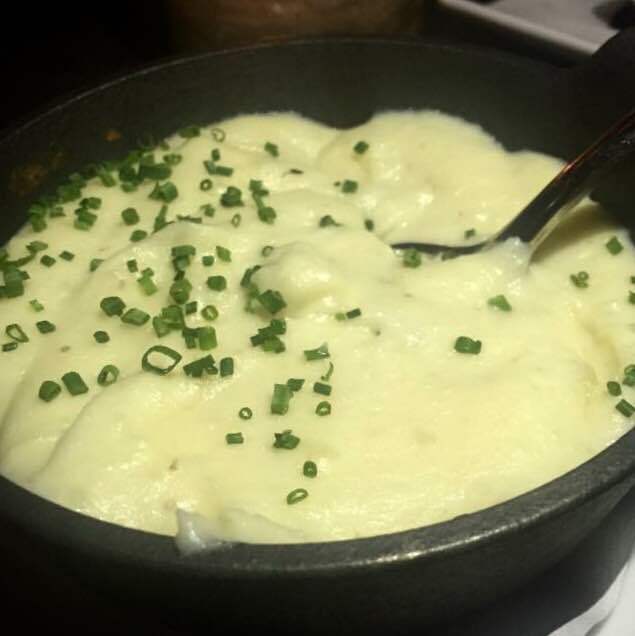 I’m a sucker for creamy, cheesy mashed potatoes (specifically Robuchon potatoes) and these didn’t disappoint. Needless to say, this was an amazing meal that we can’t wait to go back for. Next time – I’m going full carnivore and ordering meats from that grill! P.S. The wine pairing for each course was done very well. My favorite was probably the Paulucci Malbec from Argentina.